Australian Golfing Fellowship of Rotarians is a fellowship within the Rotary organization and is part of what Rotary is about, that is fellowship within its membership. It is also part of the 4th Object of Rotary: that is “The advancement of international understanding, goodwill and peace through a world fellowship of business and professional persons united in the ideal of service”. Rotary has many fellowships from fishing, caravanning, motor biking, bridge to various vocations, one of the more active fellowships is the Australian Golfing Fellowship. Each year we meet in a town or city somewhere in Australia and have a golf tournament over a week. This week is rotated on a State by State basis annually. Rotarians travel from all parts of Australia, Hobart to Cairns, Victoria to Western Australia and Darwin for the week of golf and fellowship. 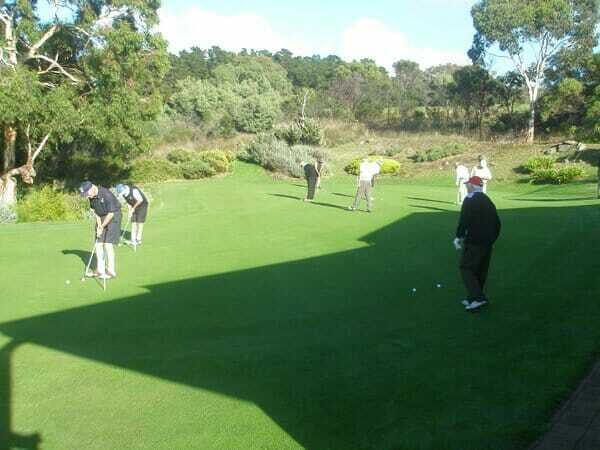 Generally we have around 100 Rotarian golfers with 30- 40 playing partners and 20-30 non playing partners.